Lauren is one of our few born and raised Colorado natives! After graduating from Cornell University in 2016 with a degree in Fiber Science and Apparel Design Lauren started working for Powder7. An ex-competitive mogul skier, Lauren loves to speed through the bumps at Mary Jane and A-Basin, but as long as she is on snow Lauren wears a smile. Not even a cliff drop that ended in a double-ejection and face plant could wipe it from her face. And we love the video that proves it. Online shopping is convenient and the best way to find the lowest prices, but with sizes varying from brand to brand, sometimes it feels like taking a shot in the dark when selecting a size. Taking the time to use a size chart can ensure that you get the correct size the first time and save you the hassle of returning something that doesn’t fit. All you need is a measuring tape! 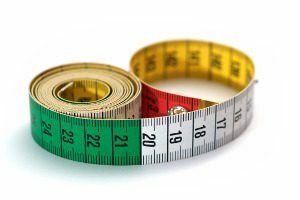 If you don’t have a measuring tape you can find a printable one online or use a piece of string or rope that you can measure with a ruler. Each brand will have their own size chart for their specific products. 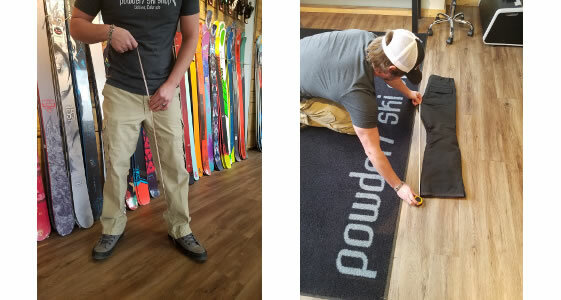 All of the size charts for Powder7 brands can be found here. Once you collect all of the measurements, all you have to do is compare them to the chart. Find your measurements in the rows on the chart and see which size column you fall under. If your measurements fall under different columns it is usually best to pick the larger size, especially if it is something you plan on layering under. You could also buy the two sizes to try them both. 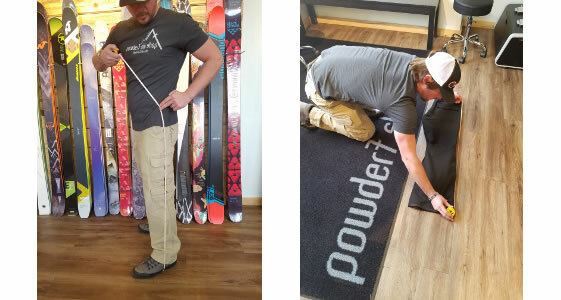 Powder7 makes returns easy so you can find the best fit. For all measurements, make sure the measuring tape lays flat against your body and is parallel to the ground. 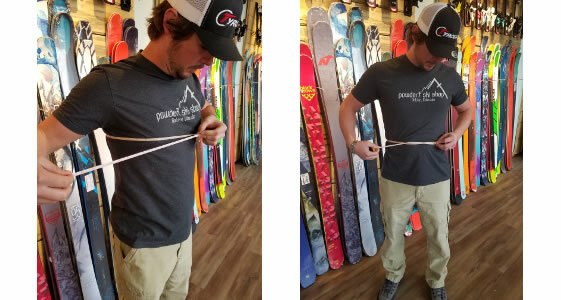 The measuring tape should be snug enough that it is comfortably close to your body without being pulled too tight. Stand straight and measure under your arms at the fullest part of your chest. Measure at your natural waistline. When you bend your body to the side, the point where your skin folds is your natural waistline. Stand with your feet flat on the ground about shoulder width apart. You might want to ask a friend to help you with this because slouching can alter the measurement. Start the measuring tape on the inside of your leg where your foot meets the floor and end it at your crotch. If you own similar pants that fit you well you can also fold those in half vertically and measure from the crotch to the bottom of the hem of the pants. Make sure you are standing tall with your feet flat on the ground about shoulder width apart. You might want to ask a friend to help so you don’t slouch. Start where your foot meets the floor and run the measuring tape up the outside of your leg up to your hip bone. 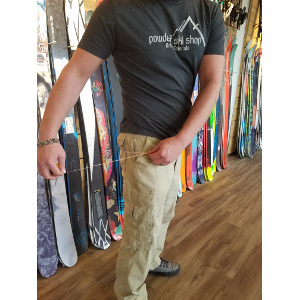 If you own similar pants that fit you well you can also fold those pants in half vertically and measure from the top of the waistband to the bottom of the hem of the pants. This measurement will include your seat at the fullest part of your hips. Measure about one inch above where your shoulders and your neck meet. Don’t pull too tightly, but hold the measuring tape tight enough that it is snug around your neck. However, this number will not be the measurement that you find on the size chart. 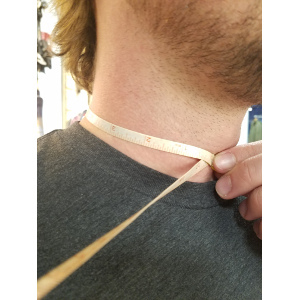 For a comfortable fit you will add ½ an inch to that measurement for your neck size. You will need a friend to help find your sleeve length. Stand straight with your arms slightly bent at your side. Have your friend begin measuring at the middle of your upper back, slightly below where your neck meets your shoulders (at the top of your shirt collar). Bring the measuring tape to the side, rest it over your shoulder and measure down to your wrist bone. If it is easier, you can also take two measurements and add them together. The first measurement will be from the middle of your upper back to the edge of your shoulder, where the seam on your shirt should be. The second measurement will be from the edge of your shoulder down to your wrist bone.